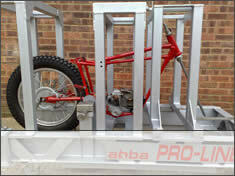 abba Motorcycle Engineering are a specialist motorcycle repair company. Our services include checking and straightening motorcycle frames, forks, yokes, and cast wheels as well as other specialist engineering procedures. 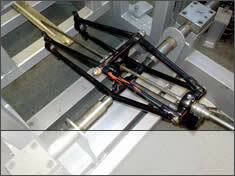 We work on all machines from classic to modern, rigid to swing arm models. When should you have your frame or forks checked? If your motorcycle been in an accident or suffered chassis damage, if your starting a restoration project, or if you suspect something's not quite right with your machine, then we may be able to help. 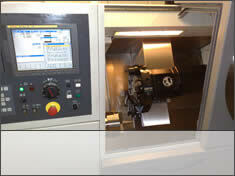 We have 30+ years experience, knowledge and a comprehensive list of machine measurements for all of the above procedures. 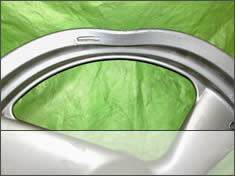 When it comes to motorcycle repairs, you can rest assured that you and your machine are in safe hands. We will always give you straight forward, honest advice. When we assess the damage to your machine, we know from experience what can be repaired and what cannot, and because you are dealing with enthusiasts, who take pride in their work, you are guaranteed that any work carried out will be done to the highest standard. We are long term members of the Motorcycle Industry Association which means that you can have confidence in the service we provide. Please use the navigation to the left to get further information regarding each of the specialist services we offer. Oh, and don't forget to check our frequently asked questions section which answers most common queries. 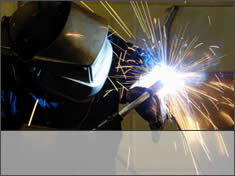 For all other enquiries you can use our contact form and one of our experts will be able to advise you.